After the four of us became snowed in for an entire weekend, we spent our time switching instruments and writing roughly 25 songs- all with lyrics, choruses, bridges and everything. We obviously decided to do a show, in costume of course, and began a long time tradition of performing at the infamous John and Peters in New Hope PA. 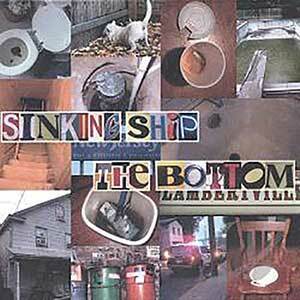 This record was recorded on two Tascam 4 track recorders in the basement of the Sinking Ship house in Lambertville, NJ. Nobody in the band would ever admit it, but this world is home for us.